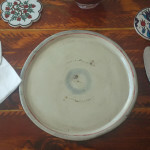 Oh boy am I lucky, I am starting a collection of crockery that I (and most people who see them) covet. 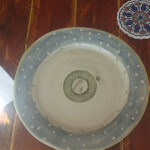 I am the proud owner of 4 plates and 6 bowls from the very talented Mariana Serfontein Pottery. 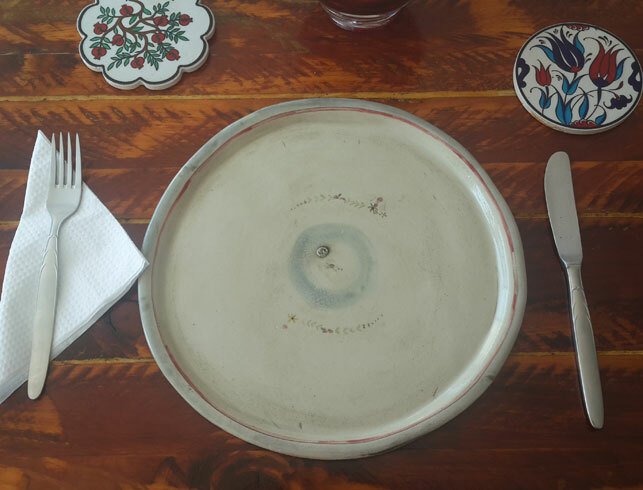 Rik’s mom has spoilt us with these treasures and I absolutely adore setting the table with these special items. 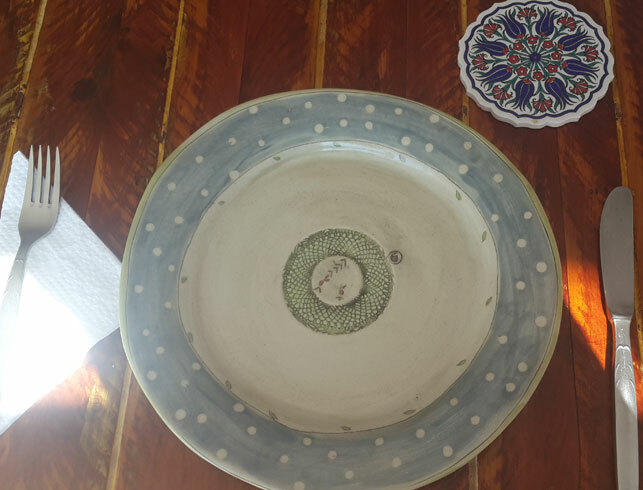 My dinner table is set with my beautiful coasters from the Wam and Wad from their trip to Turkey, these gorgeous plates and cutlery inherited from my grandparentals. 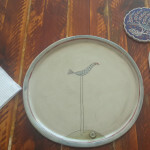 And the table was a gift from one of my besties (made by her hubby). 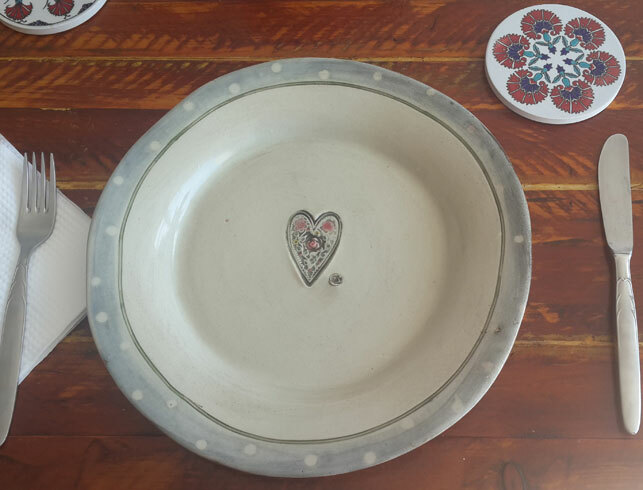 I think when you have a table set with beautiful items you’ve collected over time it not only allows for a conversation starter … but also something very special. 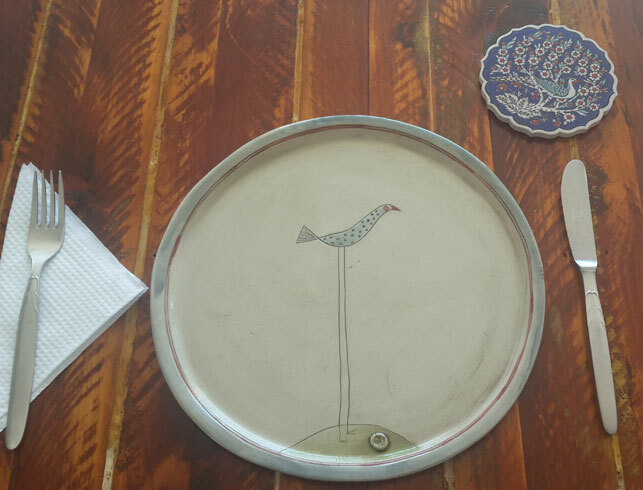 What makes Mariana Serfontein’s Pottery is that each item has its very own unique quirks and patterns. Each item has its own story and is beautiful. You’ll find the signature “MS” in various spots on the item which forms part of the design. 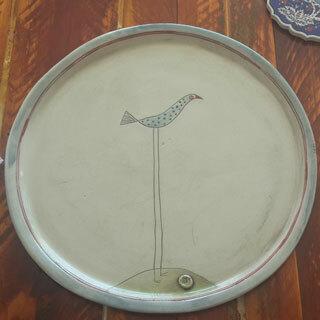 Look out for her next time you’re in Oudtshoorn’s vicinity – find her website here. 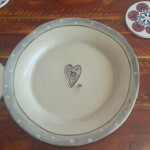 This entry was posted in Luv and tagged crockery, dinner, dinner with friends, luv, presents, spoilt, table settings, things I luv.